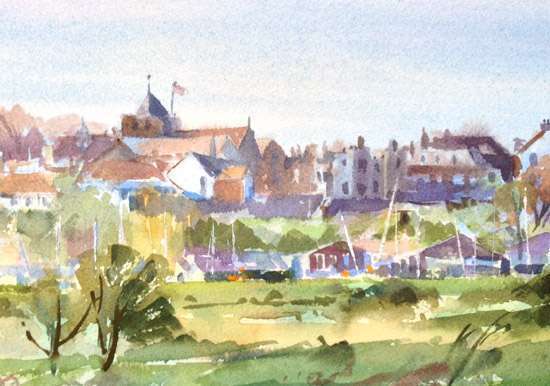 A small study of the town of Rye in East Sussex. I intend to return to this area in the Winter when the light is low. I could spend a lifetime just in this area painting. The surrounding marshes are an incredible place to paint.